Popular Archaeology is assembling a small group of subscribers to explore some of the most iconic sites of the ancient Maya. We will join the Maya Research Program, the organization that has developed and runs this special itinerary. For 11 days over the New Year’s holiday period between 2018 and 2019, we will travel through Belize and Guatemala to visit sites such as Cahal Pech, Tikal, Uaxactun, Seibal, and Yaxha, as well as two sites visitors rarely get to see — Holmul and Naranjo. The itinerary will also include other fascinating cultural stops, of course. The landscape features and scenery, which will include traversing lakes and rivers, will frame our journey. This is a tour with purpose, as your participation will help the Maya Research Program’s important research and conservation efforts related to ancient Maya sites, and I will be personally attending as a journalist to talk to the Maya Research Program scientists for stories to be published in future issues of the magazine. 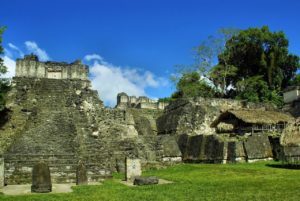 Tikal, one of the largest and most visited ancient Maya sites, will be one of many stops. If you are interested, please inform me by emailing me at populararchaeology.com and go to the tour website for more details and to register. I look forward to seeing you there with me on this special journey through the world of the ancient Maya!